Rory Fitzpatrick Update · Let's Go Amerks! Rory Fitzpatrick is unsure if he’s going to play on Friday night against the Quad City Flames, he’s feeling fine but is now day to day with his playing status up to the doctors. Rory practiced with them team on Wednesday. 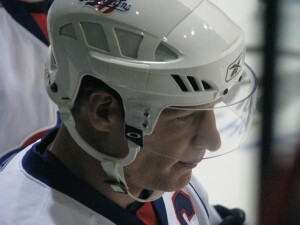 He suffered from a concussion during the first period last Saturday when the Rochester Americans played the Manitoba Moose. The only real update I guess is that it was a concussion and it’s not an injury that will keep him out long.